Once per turn, while you control another "Six Samurai" monster with a different name, you can destroy 1 Set Spell or Trap Card. This monster cannot declare an attack during the turn this effect is used. 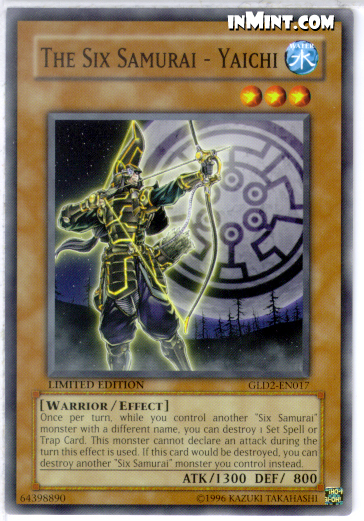 If this card would be destroyed, you can destroy another "Six Samurai" monster you control instead.